​We r​ecognize that we do n​ot just represent clients; we rep​resent communities, and every association is first and foremost a community. 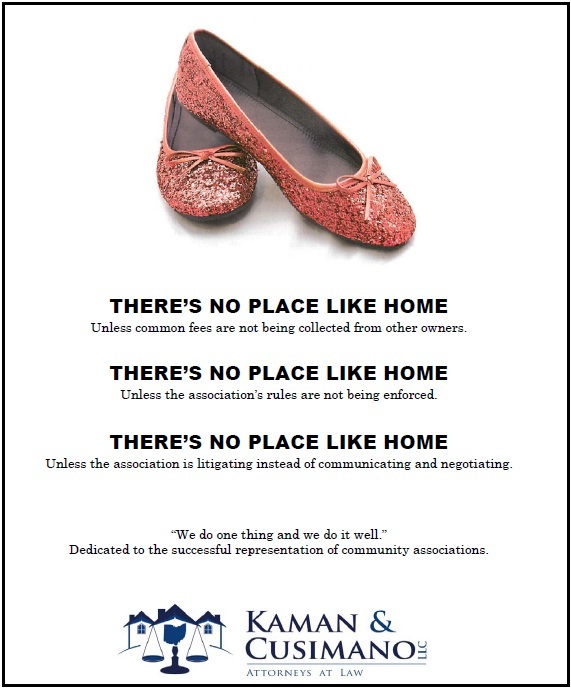 As a ​result, our firm’s philosophy is communication; not litigation. Rather than seek legal counsel after an association is in trouble, we provide education for board members to prevent problems. In other words, just like you go to the doctor for​ regular checkups for preventative medicine, we practice preventative law. Accordingly, we devote a tremendous amount of time and energy to litigation prevention through board member communication and education. We believe that our primary responsibility is to help keep our community association clients out of legal trouble. To achieve that responsibility, we recognize that it takes a team of people working together to run successful community associations. Our lawyers work together with all association advisors including managers, management companies, engineers, insurance agents, and accountants to assist your association efficiently and consistently. As all we do is represent Ohio condominium and homeowner associations, our philosophy is built on providing comprehensive education and representation to avoid litigation.